SALICE TERME, a quaint, country village, overrun by tourists in Summer, but now a quiet and beautiful Autumn sanctuary. 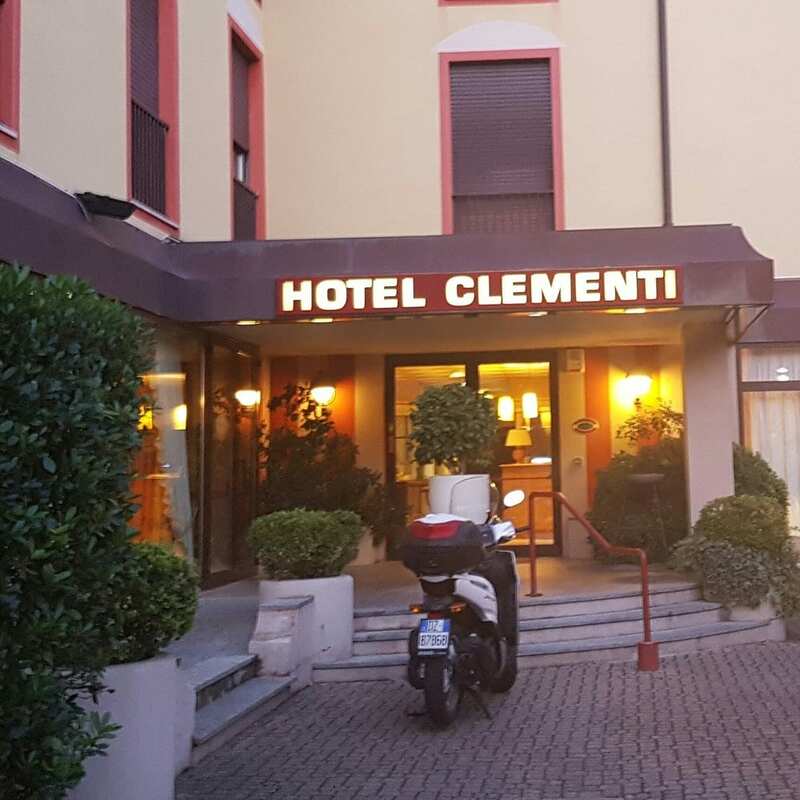 Our hotel, absolutely traditional Italian villa, Hotel Clementi, nothing put on, just simple and generous hospitality. The chilly air bites our cheeks as we step out into the still half dark morning. The oversize pizza, traditional draught lager and superb tiramisu from last evening now just a good memory. We walk briskly up the cobbled Roman road past the large terme (spa) building for which the town is famous. The sun is coming up bringing with it a clear blue sky sliced with vapor trails of lofty aircraft travelling from Milano to destinations in many directions. The trees are so beautiful - tall sentries lining the roads and lanes, some with green leaves transparent in the sunshine and some succumbing to the Autumn cool, embracing Autumn hues and drifting down to carpet the historic stone pavements and paths. The morning is strangely silent - broken by only the clattering of a car on the cobbles or a high up caw of a croaky crow. 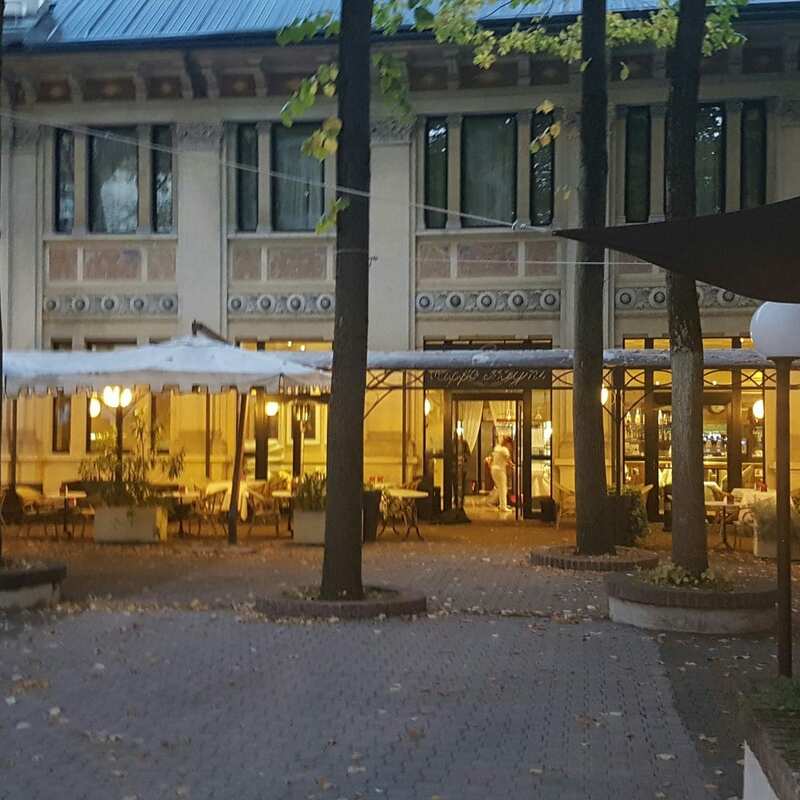 The Italian village is so different to bustling Milano yet connected by a depth of culture embedded in every person, sign, scooter and inviting cafe bar. We look up through the dappled sunlight to the hills that rise behind the village. Green and textured with European trees. There atop the hill is a castle that has smiled down condescendingly through its stone teeth for more that 300 years. Walking up winding streets we comment on the typical hues of the villas - rustic ochre colours, subtle apricots, yellows, and pinks all capped with terracotta half-pipe tiles - so uniquely Italian. Balconies blossoming with greenery hung from house walls, bright flower baskets adding splashes of colour. Wrought iron curls to form gates in stately openings. The cold has triggered the urge for a coffee. Must swing the doors of an inviting cafeteria open and join the hustle at the bar. Must watch in amusement as patrons re-enact their morning ritual. 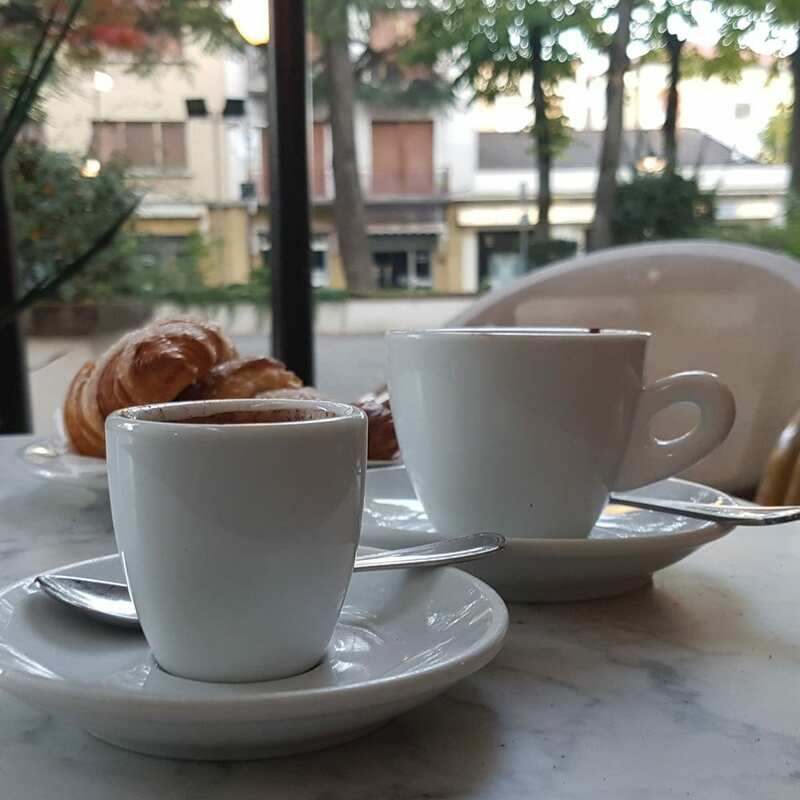 A fast swig with pursed lips from a small ceramic cup - espresso homeland. Now, wake up, the driver from Brambati swings in to collect us for another fascinating day at the factory.